FUEL EFFICIENT 30 MPG Hwy/21 MPG City! CARFAX 1-Owner. SEL trim. CD Player, iPod/MP3 Input, Dual Zone A/C, Onboard Communications System, Aluminum Wheels, 2.0L ECOBOOST I4 ENGINE, Satellite Radio, Turbo Charged Engine. CLICK ME! 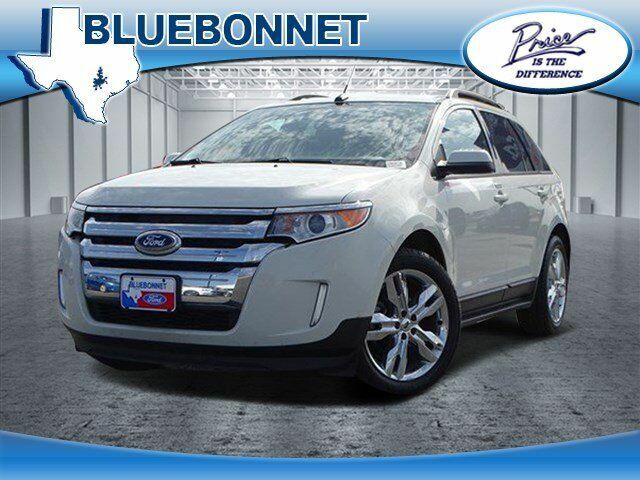 KEY FEATURES ON THIS FORD EDGE INCLUDE: Satellite Radio, iPod/MP3 Input, CD Player, Onboard Communications System, Aluminum Wheels, Dual Zone A/C Rear Spoiler, MP3 Player, Privacy Glass, Keyless Entry, Steering Wheel Controls. Best in Class Maximum Cargo Volume vs. Dodge Journey, Chevrolet Equinox, Nissan Murano and Honda Crosstour. With 68.9 cubic feet available, the Edge will hold 13 carry-on suitcases. Behind the Rear Seat, the Edge has 32.2 cu/ft, which will hold 6 carry-on suitcases and a couple backpacks. Great Gas Mileage: 30 MPG Hwy.